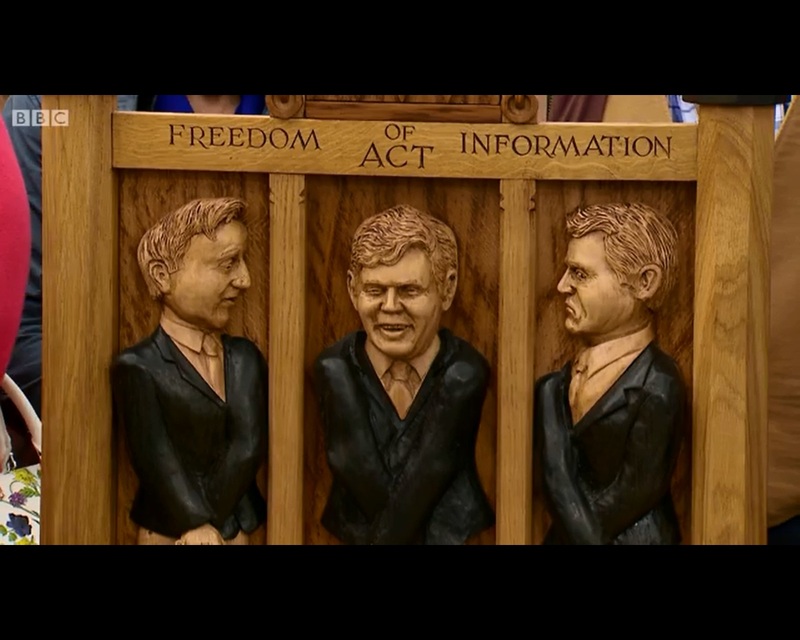 The MPs’ expenses scandal invigorated freedom of information in the UK. For one wood-carver in particular, it appears also to have moved him to furniture-making excellence. 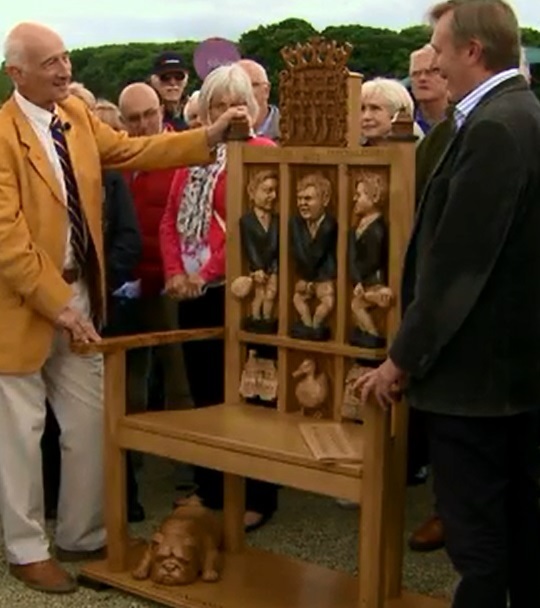 On 28 September the Antiques Roadshow, on an outing to Kirby Hall in Northamptonshire, featured the unnamed craftsman and his creation – a chair engraved with the words “The Freedom of Information Act” and with carvings of Gordon Brown, David Cameron, Nick Clegg, The Daily Telegraph…and a duckhouse. The rather magnificent chair, which took 500 hours to create, was valued at anywhere between £2,000 and £10,000 “and upwards”. As expert Paul Atterbury suggested, perhaps its most appropriate home would be somewhere in the Palace of Westminster, to serve as a perpetual reminder to MPs. (The programme is available, in the UK at least, on BBC iPlayer, until 4 October. Relevant extracts are at 17:54 to 19:05 and 29:23 to 34:39 minutes).